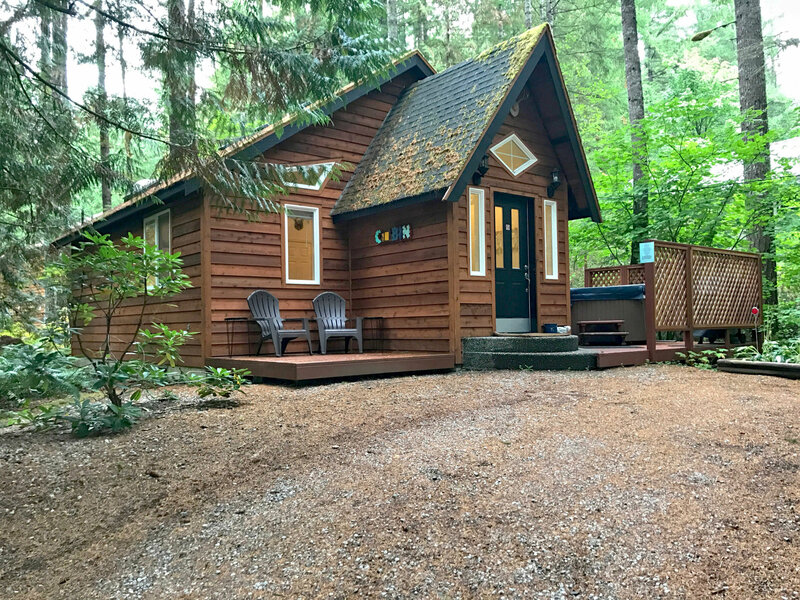 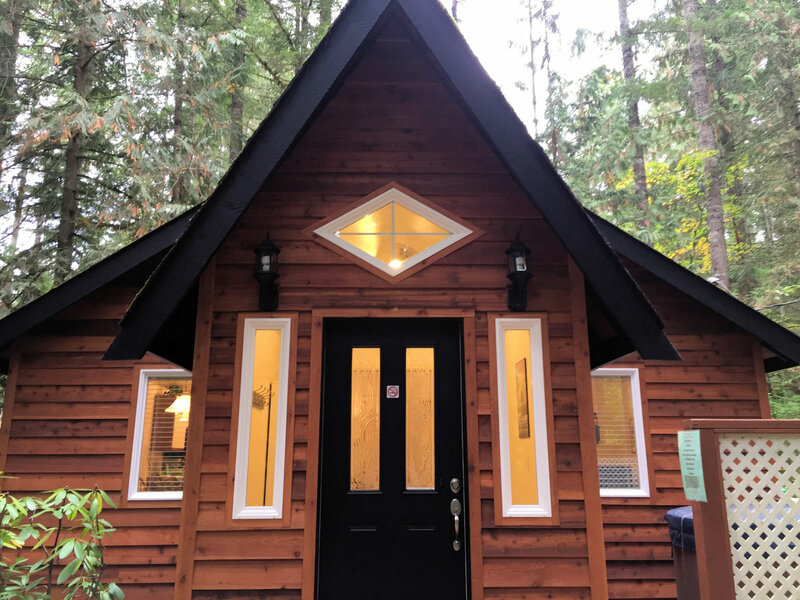 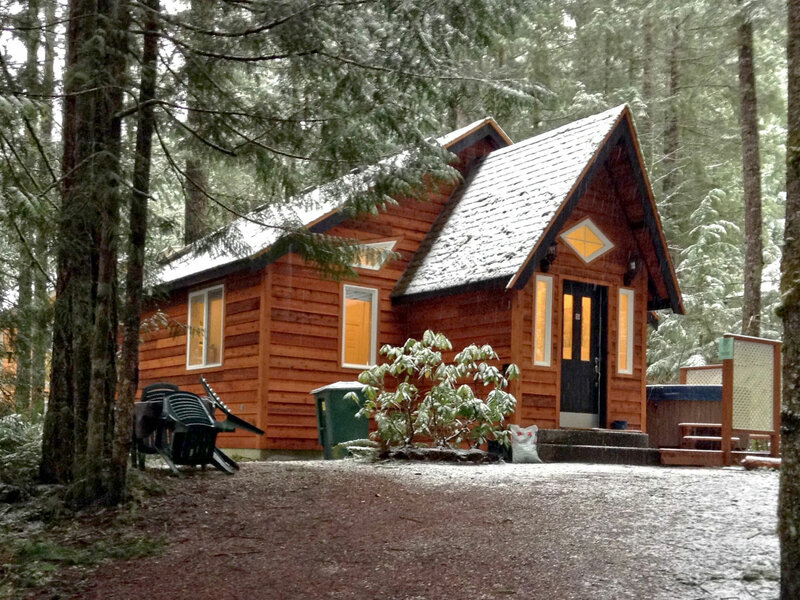 This little 1 story "Gingerbread Cottage" is in a wooded area, and features one bedroom with 1-king bed, a 3/4 bath with a double Shower, a fully equipped kitchen, a laundry cubby with a stack washer/dryer, and an open living/dining area with a hide-a-bed and a freestanding gas fireplace. 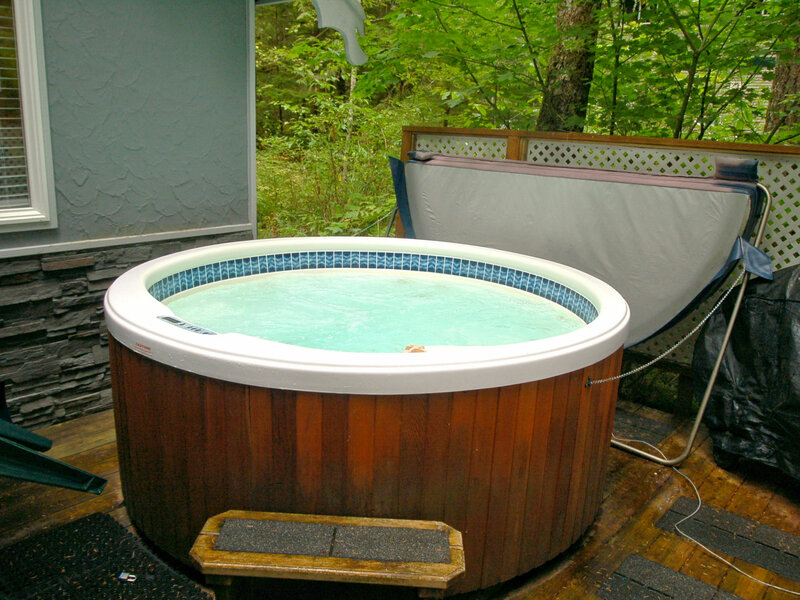 Just outside the front door is a private out door hot tub, and a gas grill. 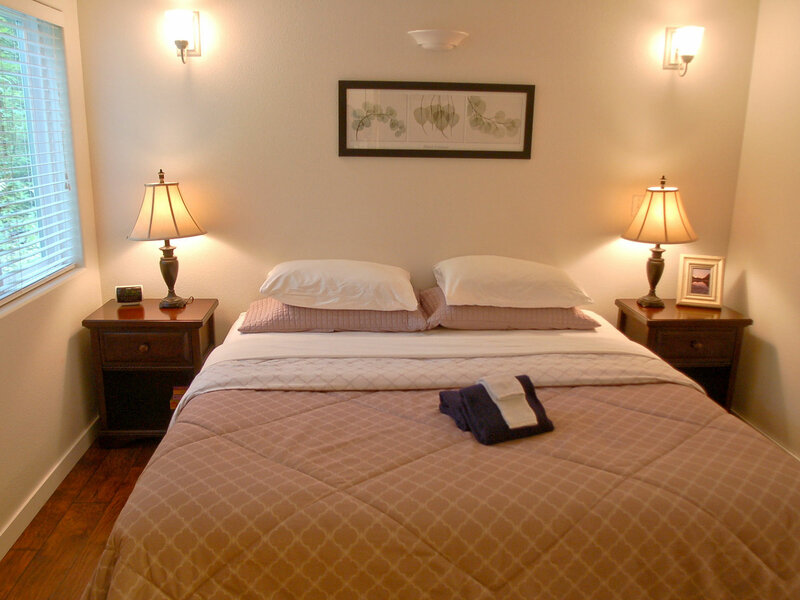 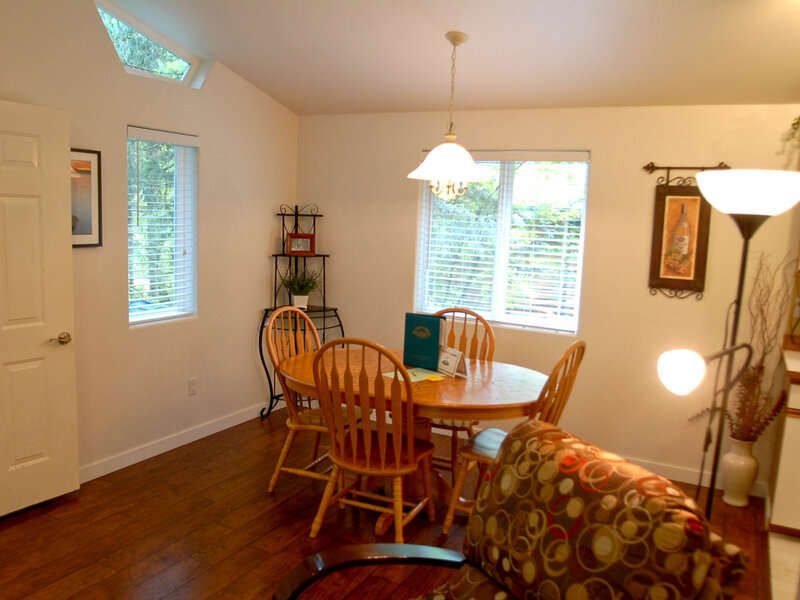 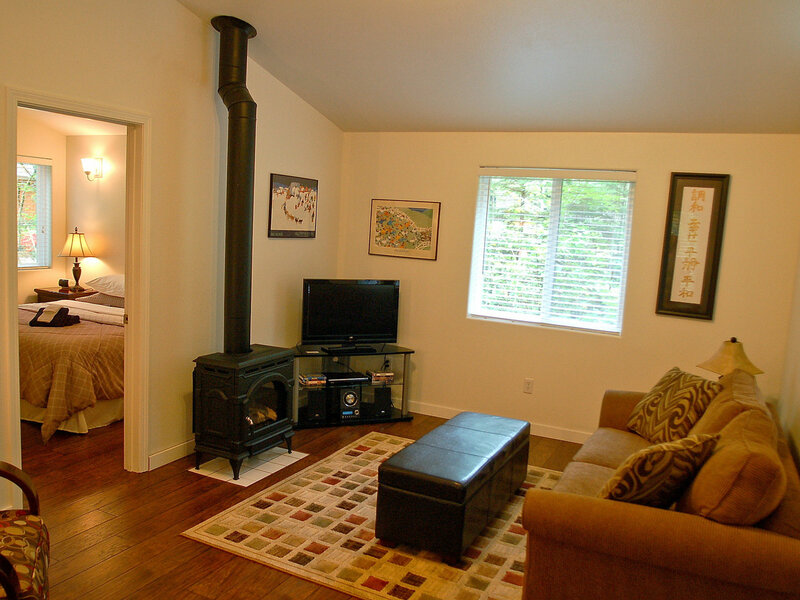 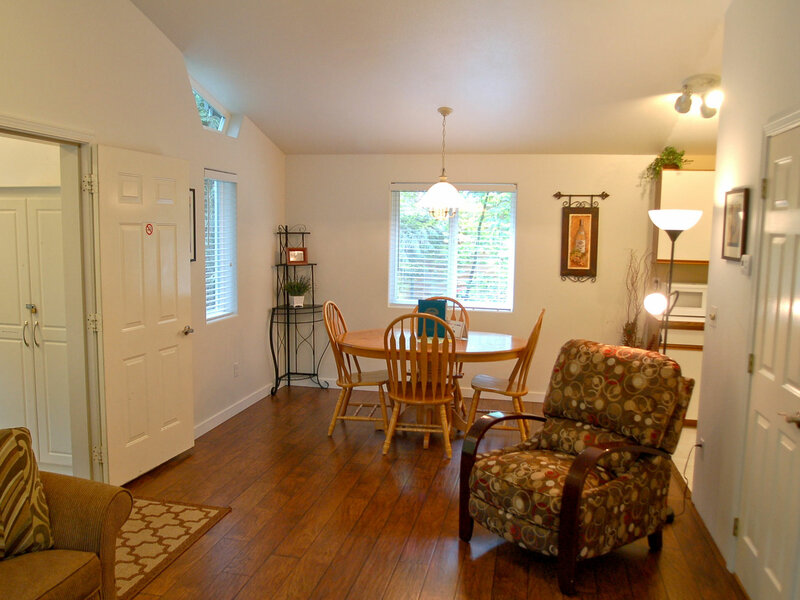 This pet - friendly vacation property will sleep 2 to 4 - persons(ENFORCED Maximum Occupancy).